Gov. Tom Wolf’s $34.1 billion budget proposal for 2019-20 includes more than $6.5 billion for basic education to support school district operations. That appears to represent a nearly $442 million increase in the basic education funding from this year. But it is important to note that $242 million of that amount is money that in past years was funneled through the Ready to Learn block grant program, which was a separate funding stream for districts. To more fairly compare the amount of state aid for basic education each district would receive under the governor’s 2019-20 proposal to this year’s funding, PennLive combined the basic education and block grant funding each district received this year in a searchable database to arrive at the percentage difference. 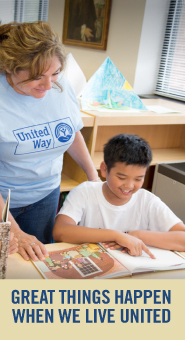 © 2015 UNITED WAY WORLDWIDE. ALL RIGHTS RESERVED.